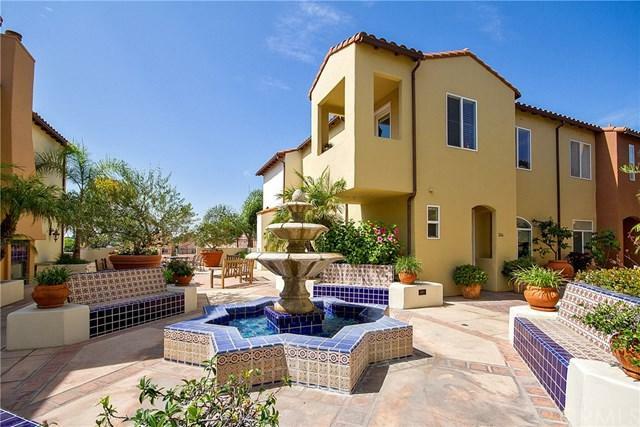 Plaza Almeria has all the key elements of Spanish Revival architecture, upon entering this Mediterranean-inspired exterior with white stucco walls, curves and arches, courtyard fountain and ornamental details+G-. you will want to make it yours! 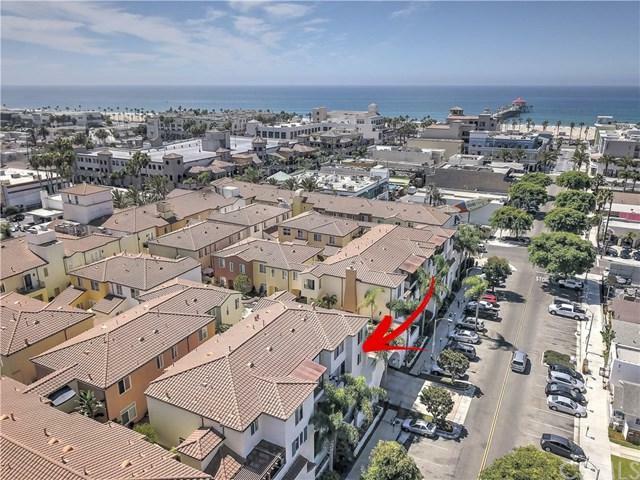 A rare and highly sought after end unit next to the open courtyard fountain is just 2 blocks to the Beach and steps to Pacific City. 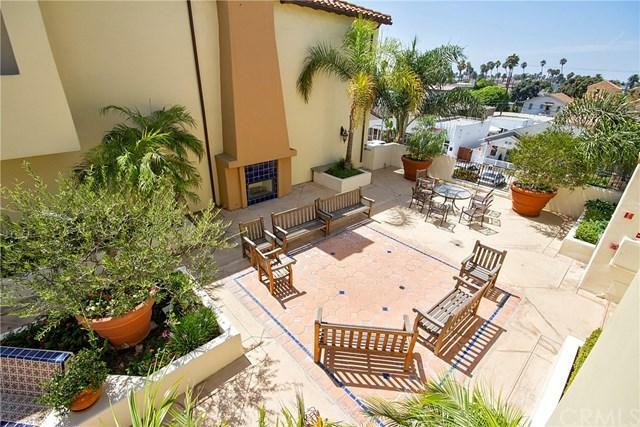 Right above main street shops and restaurants, this condo faces west overlooking quiet 5th St. 2 bedrooms and 2.5, bathroom townhome has an amazing open floor plan. The interior is complemented by a soft contemporary combination that yields elegance and sophistication, yet provides relaxed indoor and outdoor living. 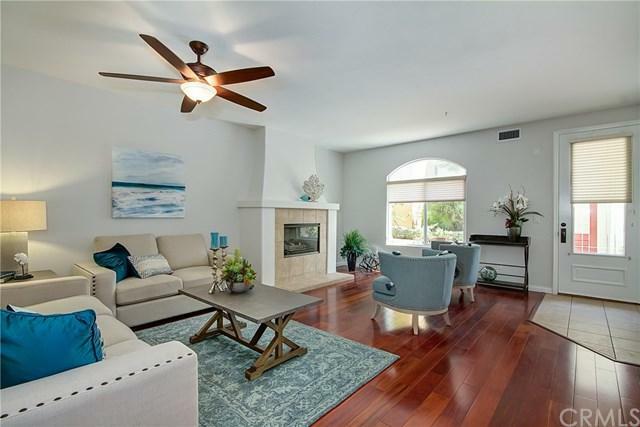 Open living room with gorgeous hardwood floors and a fireplace that leads to an expansive family room and chef+GGs kitchen with granite counters and tile floors+G- from there you can relax in the fresh air and watch the sunset from your patio. On the second floor, there is a loft perfect for a home office that opens to another patio overlooking the expansive courtyard fountain. Palatial master suite with dual vanities, jetted tub and separate shower with walk-in-closet. Spacious 2nd bedroom suite with private bathroom and upstairs laundry. Private storage room, secured bike storage, 2 gated parking spaces, and plenty of guest parking. Extraordinary Opportunity, Don+GGt miss out!!! Sold by James Ransom of Compass.